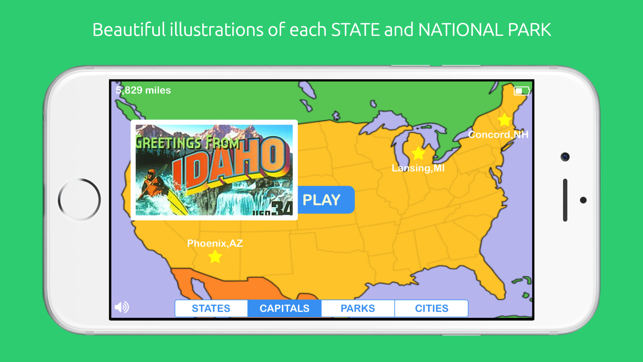 PopGeo is a fun way to learn where the U.S. STATES, state CAPITALS, NATIONAL PARKS and major CITIES are located. Your goal is to TRAVEL AS FAR AS POSSIBLE by DRAGGING the targets onto their correct destinations, which are marked with a pin on the map. Watch the MILE COUNTER go up each time you succeed (miles add up from Washington, DC). Great SOUND EFFECTS and subtle use of ANIMATION makes the adventure entertaining -- like PINS DROPPING FROM THE SKY at the beginning, and labels 'popping' up. This version includes HIGH SCORES and the option to turn off sound effects. I bought PopGeo for my nine year old daughter but my seven year old daughter loves it just as much. 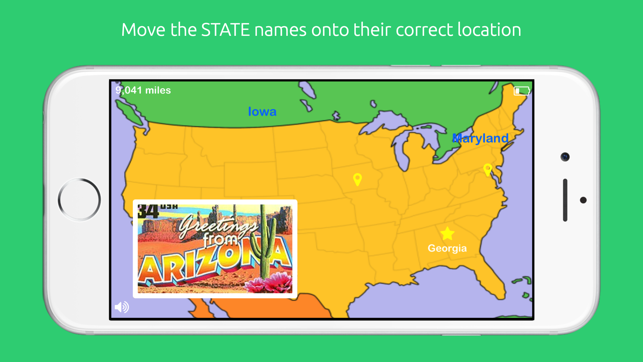 It's a simple application that tests US geography knowledge by state, state capital, and major cities. Futher, it also tests for location of US National Parks, all on an outline map of the US. Since my family has visited a lot of National Parks, this feature adds an unexpectedly fun dimension to PopGeo. Now my daughters have got me playing PopGeo too. If you want well-implemented, fun geography lessons in a fast-paced game-like format, PopGeo is for you. 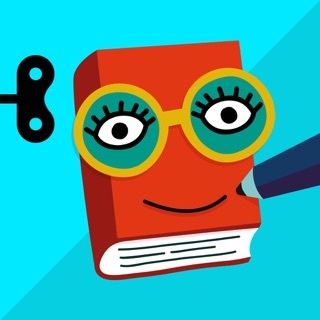 I am an elementary school teacher and I love this application. 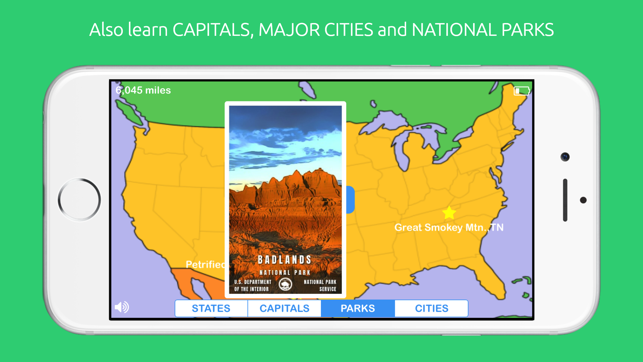 It is great for helping students learn their states, capitals, national parks, and major cities! 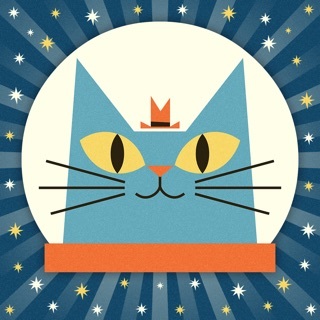 It is well designed, stable, and well worth the .99 cents! Even if it goes up in price I believe the investment is well worth it. 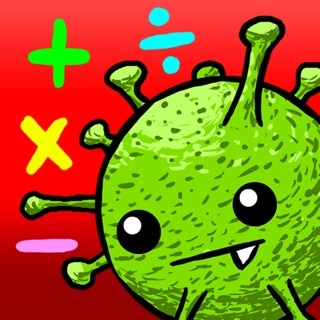 This educational game will please kids and parents alike. I is very well designed: in particular I like the kid-friendly graphics, the simplicity of the application, and how one interacts with the states/cities/parks/capitals to solve a level. Great frun!